My first professional baseball game in two dozen years caused me to realize how much the world has changed. At one time the so called national past time was considered to be a slow, deliberate game where each pitch was potent with meaning. Now the circus-like atmosphere revolves around the constant flow of entertaining acts. Between innings there was a raffle where the lucky winner received half of the money bet that evening, some $1,751. Later, a wheel spins to determine the casino where another lucky fan is to be feted as a winner. There were kids dressed in hot dog outfits while a simulated race took place. Another race featured giant heads of past stars strutting their stuff. Free tee shirts were thrown to the best fans. While during other pauses we saw pictures of unaware fans in the stands or asked them to “kiss me” or “muscle me.” We even had a marriage proposal played out on the immense high definition LED screen, an incredible 136 feet by 46 feet. And that isn’t the only screen. There are many more such as 1,119 foot ribbon. During the seventh inning stretch we still sang “Take Me Out to the Ballgame,” but most of the other activities were geared to entertain our short attention spans. Chase Field even has a swimming pool. There are lots of food choices in booths lining the corridors. There may be close to a dozen different types of hot dogs, for example, and you can spend more than $10 for one beer. Some 29,451 ticket holders saw the Cubs win 4-2. After the game, “angels” performed dance routines followed by an impressive fireworks display, much better than many a Fourth of July celebration. What will a baseball game look like in another twenty years? Joel Revzen, Artistic Director and Principal Conductor of the Arizona Opera, raised his baton with the Phoenix Symphony Saturday night. Giusepp Verdi’s Overture to La Forza del Destino set the tone with musical passion. Guest artist Canadian Phillip Addis powerfully projected his baritone voice in Songs of a Wayfarer, four German songs inspired by heartbreak. The evening’s performance concluded with Felix Mendelssohn’s Symphony No. 3 in A minor, opus 56, based on a visit to Scotland and known as the “Scottish.” To emphasize the cohesiveness of this symphony’s themes, he instructed that the four movements be performed without pauses. The Phoenix Symphony partly met this wish with very short pauses. As we exited Symphony Hall, we followed an older couple, the man dressed in kilt and the woman with matching skirt. A fitting end for our last concert of the season. What lies behind us, and what lies before us, are small matters compared to what lies within us. The last segment of the trail joins the always busy Summit Trail. 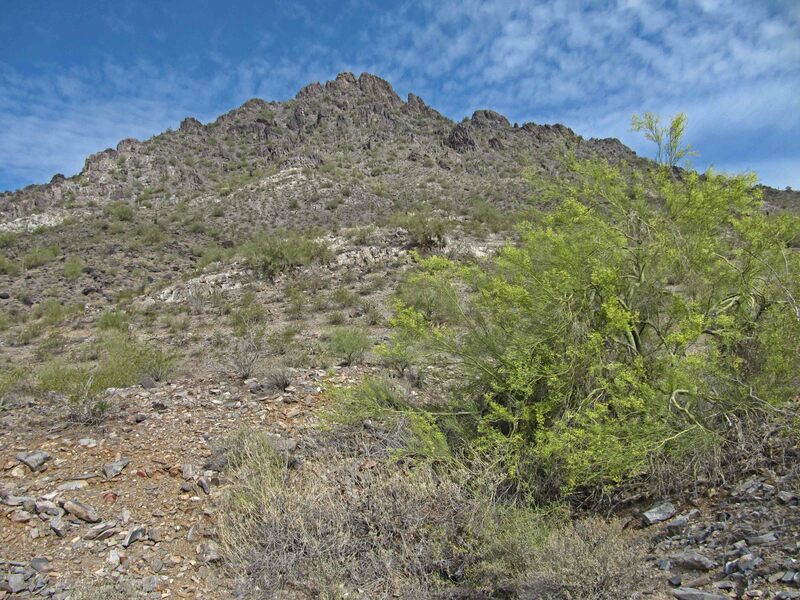 As the temperatures continue to rise in the Phoenix area, it was easy to choose to head toward the parking lot rather than attempt the strenuous last half mile to the top of the peak. Think about what lies within you and, with me, work to better yourself. Christian Lindberg conducted three Scandinavian works with the Phoenix Symphony last night. Norwegian Carl Nielsen’s Helios Overture, opus 17 is a musical depiction of the sun’s daily passage across the blue skies of Greece and was warmly received in the Valley of the Sun. Finnish Jean Sibelius’ Symphony No. 2 in D Major, opus 43 uses shifting tempos to elicit how events can change unexpectedly, that despite set backs one must persevere, aware of the bright sun on the horizon. Musically, the glorious brass finale represents freedom and triumph over darker days. Between these two classic pieces, Lindberg, a Swede, conducted, played and narrated the second part of his own Kundraan’s Karma. Although he set the stage by recounting the plot line from the first part of this work, it was difficult to understand the story line of this musical parable. Kundraan travels over a narrowing bridge, shares a poisoned whiskey with Lucifer that makes Kundraan impotent, and visits a land which knows no compassion. Lindberg’s trombone virtuosity is extraordinary, especially while conducting and narrating. His boundless energy lit up the stage throughout the evening. His unorthodox demeanor was evident in his choice of clothing. A form fitting silver silk shirt with black designs topped black exercise pants and pointed shoes during the first half of the concert. At the intermission, he changed to a green silk shirt with gold leaves. Once again the Phoenix Symphony combines well loved classical music with an exploration of a newer work by an outstanding soloist. Yellow flowered creosote bushes are in full bloom throughout the Pima Canyon area of South Mountain. The few ocotillo are displaying their red flowers. Low to the ground strawberry hedgehog cacti are beginning to show off their distinctive magneta colored flower. A palo verde tree located on the edge of the golf course provides a yellow canopy of color. 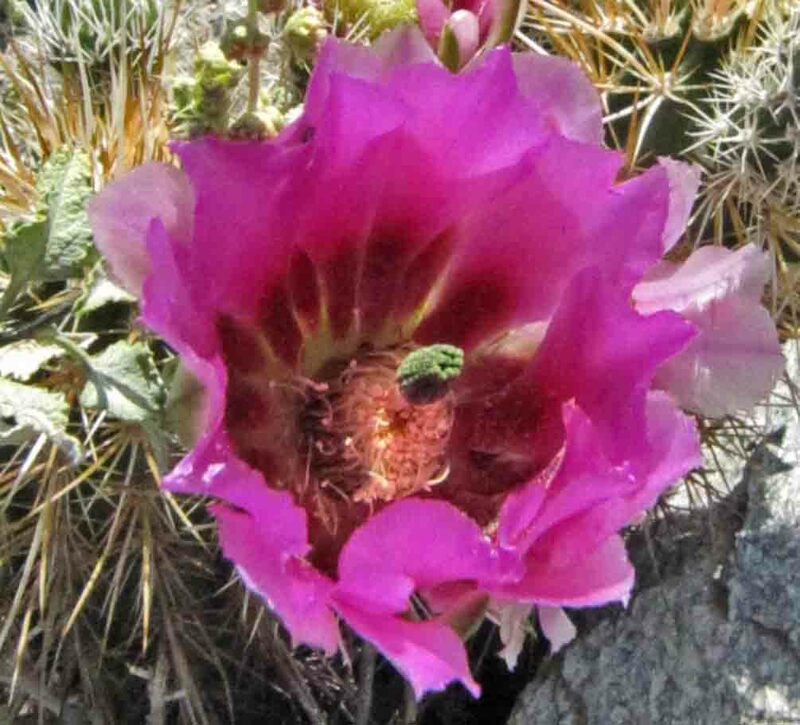 It shouldn’t be long before the saguaros bloom. Wildflowers are abundant throughout Arizona.